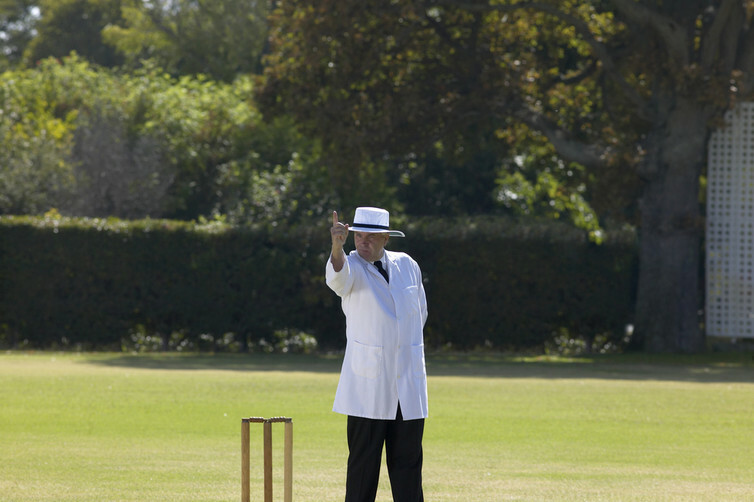 Gemma Ware, The Conversation: They may be the arbiters of the world’s most gentlemanly sport, but cricket umpires provided by the home team are still more likely to be biased than neutral umpires, according to a new study that analysed decisions made in 1,000 test matches. In crucial leg-before-wicket (LBW) decisions, where a batsman is given out when their pad gets between the ball and the stumps, matches overseen by two home umpires saw more batsmen being given out from the away team than from the home team. The results call into question whether the one-day international form of the game, in which only one of the two umpires on the pitch is required to be neutral, should be reformed. Historically, in the five-day test match form of cricket, both umpires were allowed to be from the home team. This was changed in 1994 when it was made mandatory for one umpire to be from a neutral country, and again in 2002, when home umpires were banned altogether. In a paper published in the Journal of the Royal Statistical Society, economists Abhinav Sacheti, David Paton and Ian Gregory-Smith, were able to use the change of regulations as an ideal natural experiment. In the 1,000 test matches they analysed between 1986 and 2012, 20% of matches were umpired by home officials, 35% by one home and one neutral umpire and 45% by two neutral umpires. They found that in matches overseen by two home umpires, batsmen from the visiting team were given out LBW about 16% more often than their opponents from the home side. They found bias by home umpires had been particularly strong in tests played in Australia, India, Pakistan and Sri Lanka. The study controlled for the quality of the team, the venue and the pitch, and the experience of the umpires in the match. But in those matches with one home and one neutral umpire, they were not able to control for which umpire actually made the LBW decision – because umpires change position each over (six balls bowled). The researchers tried to find out whether the home bias may have been caused by the pressure from the home crowd by comparing the number of decisions made in the first two innings of the match (when crowds are usually higher) and the second two innings. Sacheti, who recently completed his PhD at Nottingham University Business School and was the study’s lead author, said the findings raised doubts over whether home umpires could be reintroduced into test match cricket. Some cricket commentators have argued that the advent of new technology such as the Decision Review System (DRS), through which both teams can ask a third umpire to review LBW decisions using video footage, means that home bias has been eliminated. Some countries, such as India, currently do not accept the use of DRS. The DRS system still gives discretion to umpires for some decisions, said Sacheti, who suggested that “the issue of home bias is unlikely to have disappeared” for one-day matches. He suggested the International Cricket Council could consider doing more research looking at data from the one-day version of the game to find out how big the problem of home bias was.